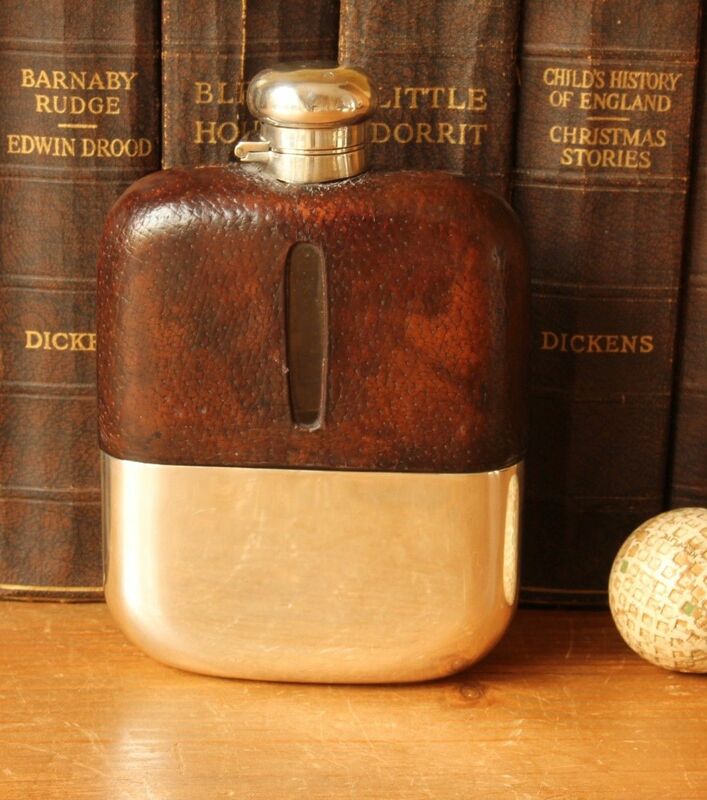 This handsome spirit hip flask which has a detachable solid silver cup and hinged flip / bayonet top is made by renowned silversmith James Dixon & Sons in 1914. 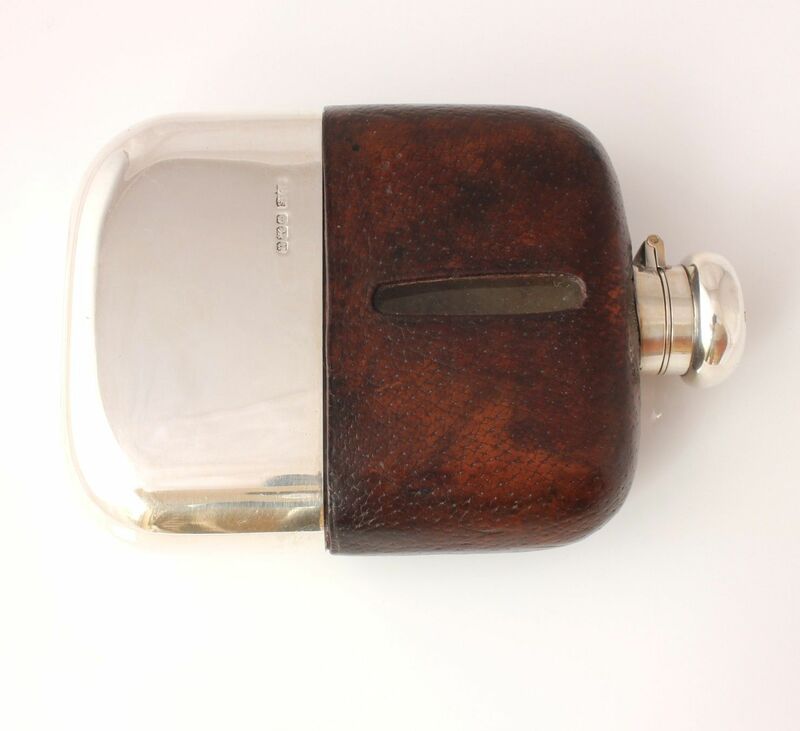 The outer of the top half is covered in brown textured leather, there is a sight level on both sides and the flask is a good size, making it a wonderful usable item. The bayonet top is tight and seals well so does not leak. The detachable cup has a gilt interior and is in stunning condition. 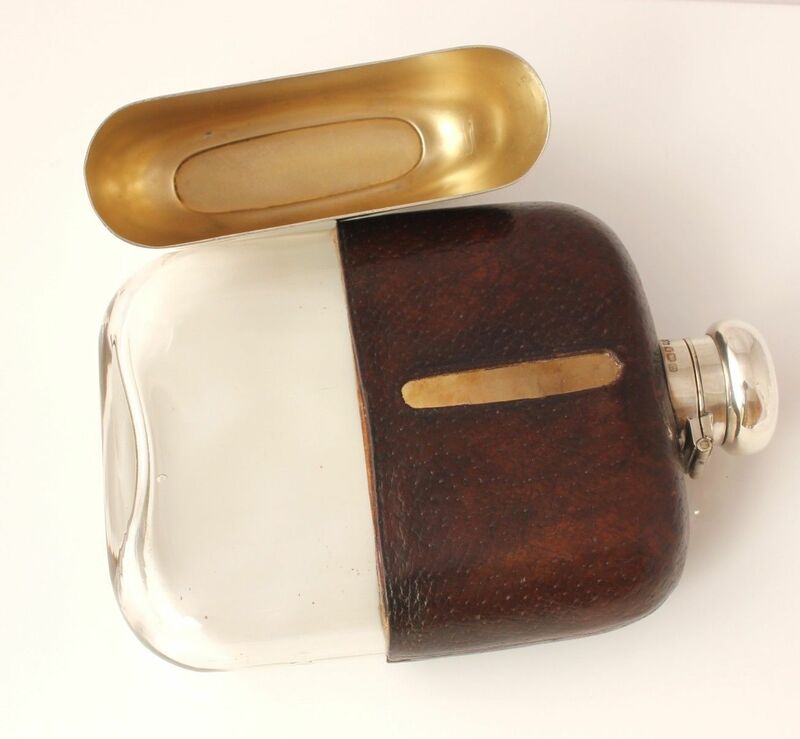 The flask which is over 100 years old has a wonderful tactile feel and sits nicely in a pocket. A lovely clean and usable item that would make a wonderful gift. Height: 14.5 cm / 5 3/4" approx. Width: 10 cm / 4" approx. 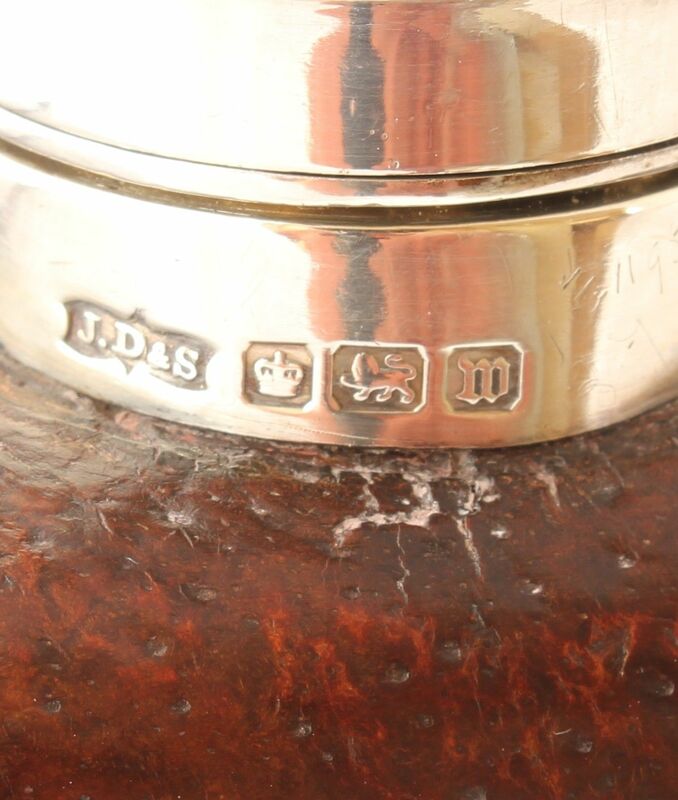 Hallmarks: Fully hallmarked for silver, Crown for Sheffield, makers mark J.D & S for James Dixon and Sons. Date letter u for 1912 to cup and w for 1914 for the top. Condition: In excellent condition with only very light signs of use in keeping with age. 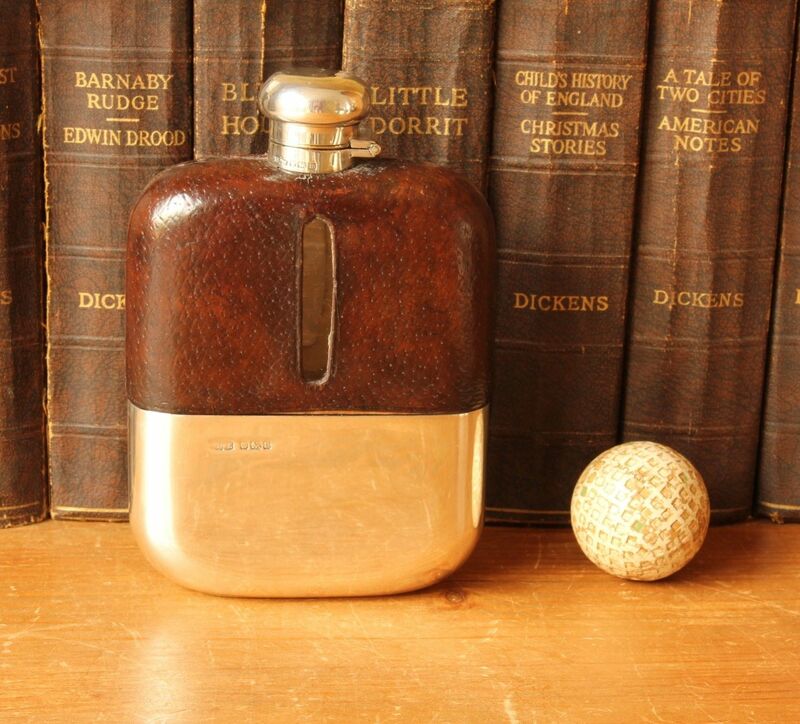 A very clean and tidy flask. The hinged lid closes tightly with no leaks. 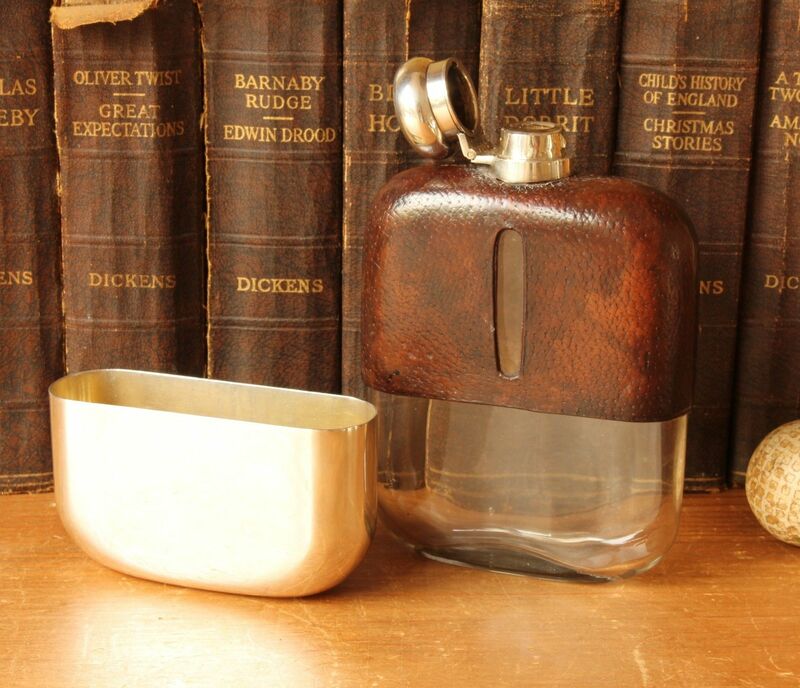 The cup slides on and off of the flask well and stays firmly in place. The leather is in good condition with a just a little shrinkage and cracking. The silver and glass is in excellent condition with no splits, dents or chips. There are a few very tiny bruises to the top that hardly notice and can only be seen on very close inspection. The makers mark on the cup is slightly rubbed but can clearly be read. No monogram. Please see pictures.